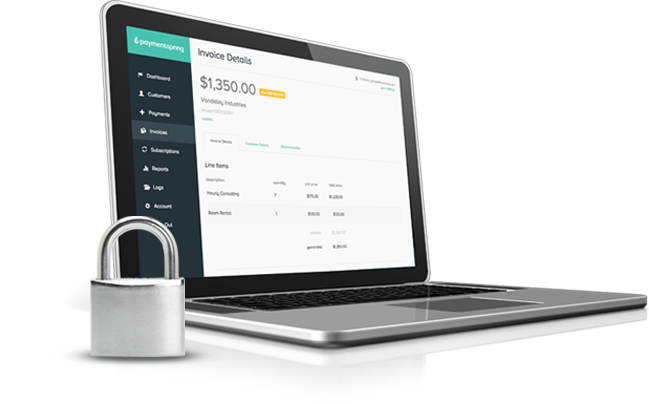 Secure payment solutions are simplified in PaymentSpring Gateway to ensure PCI compliance is less of a burden for businesses, nonprofits and software platforms and more of a comforting advantage for the customers and constituents you process payments for every day. The Payment Card Industry Data Security Standard (PCI DSS) is an information security standard for organizations that handle branded credit card data. So, when you donate to a great cause or pay for a cool product/service using Visa®, Mastercard®, AMEX®, etc., the nonprofit or business has a responsibility to keep financial information secure. If you’re reading this, you’re likely the one with that responsibility. Kudos to you for taking this responsibility seriously and for seeking a simple, yet secure payments solution. Processing transactions on your own puts a lot of risk in your court. Partnering with PaymentSpring reduces that burden. We’re PCI Level 1 Certified, which means we handle a large volume of transactions and have measures in place to keep those transactions safe 24/7/365. 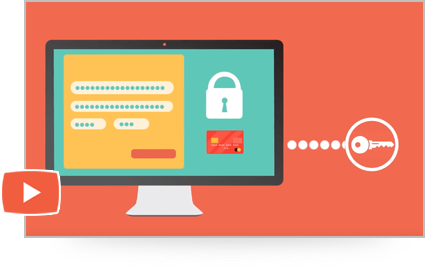 Our payment solutions help sensitive cardholder data bypass your infrastructure and point it our way. (All thanks to the magic of tokenization and encryption, which you’ll learn more about if you keep scrolling.) This little detour significantly reduces PCI compliance headaches for business merchants and charitable organizations. Want to dive deeper into the world of PCI compliance? Download our Pain-Free Guide to PCI Compliance. If you’re ready to reduce that pesky (but very necessary) PCI DSS scope, we’re glad to lend a hand. As we mentioned above, one of the ways we do this is by utilizing tokenization. Tokenization is the transformation of a meaningful piece of data (in this case, card numbers) into a random string of characters. Seeing is believing, so check it out for yourself. Here are the two things you’ll need to integrate tokenization into your software. When in doubt, holler at your developer and he/she will go doc hunting. Using your private API key, have your server send a charge request using the ID of the token you just created. The token is able to be used just once and will be deactivated after the charge is made. You could also send a “create customer request” to save this card data as a customer to be charged later. That’s all there is to it. Your servers never have card data pass through them. PCI compliance achieved! The second weapon in our data protection arsenal is encryption—the transformation of plain text into non-readable cipher text. Our end-to-end encryption process protects the end user’s card data from third parties who may attempt to steal it. PaymentSpring’s vaulting system securely stores an unlimited amount of ACH deposit information and credit card data for future transactions. It’s a lock-and-key efficiency that saves you time and energy while simplifying the end-user experience. If you have a thirst for more data security knowledge that simply must be quenched, call us. We’re always up for geeking out about encryption (and/or tokenization).